The Ann Arbor ATHENA PowerLink Program is accepting applications. The Ann Arbor ATHENA PowerLink program is accepting applications from women business owners in Washtenaw county who wish to participate in the program. The program, designed for women-owned businesses beyond the initial startup difficulties, links a business with a panel of advisors who meet the specific needs of that business. 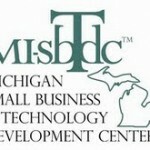 Women entrepreneurs with at least 2 years of experience running their own business can get a year of pro bono advice and coaching from some of Washtenaw countie’s finest business experts through the Athena PowerLink program. The PowerLink program began in 1992 in Pittsburgh, Pennsylvania when two businesswomen recognized that female entrepreneurs often lack access to valuable advisors and mentors. Today, as ATHENAPowerLink® expands across the country, the program continues to help women grow their businesses. Apply on line at www.athenawashtenaw.org. Deadline for applications is Friday, October 16th.